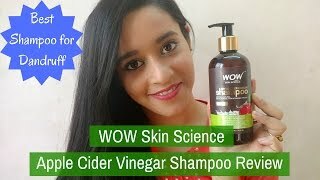 The lowest price of WOW Apple Cider Vinegar No Sulphate and Parabens Shampoo, 300ml was obtained on April 23, 2019 10:38 pm. Although the shampoo has the greatness of Argan oil, ACV, Almond Oil….the other Ingredients sound very intimidating, but don’t worry.While I was reading through the chemical-ingredients, Caprylyl/Capryl Glucoside… What the hell?!! I can imagine how people can get suspicious about the genuineness of this product being organic, which I was initially.Now let’s start with the process of enlightenment!1. Caprylyl/Capryl Glucoside:Talk about a long, chemical name. But never fear—this one won’t hurt you. The raw materials come from vegetables or coconut, and the resulting ingredient has a “zero” hazard rating on the Skin Deep Database online. (Look it up for yourself)2. Sodium Methyl Cocoyl Taurate and Decyl Glucoside (Natural-Surfactant)Surfactants are necessary for the lathering, cleaning, and degreasing effects of a shampoo. Conventional surfactants (harmful) such as sodium lauryl or laureth sulfate (SLS), ammonium laureth sulfate, cocamide DEA, and ammonium xylene sulfonate have the potential for harshness, stripping away fatty acids.Natural surfactants such as Decyl Glucoside, Sucrose Cocoate, Sodium Methyl Cocoyl Taurate, and sodium lauroamphoacetate may not foam like a conventional product, but your hair will still be just as clean.3. Sodium Lauroyl SarcosinateOften confused as SLS-sodium lauryl sulfate which is a hard surfactant used in detergents, whereas sodium lauroyl sarcosinate is a very mild, but also very effective surfactant, it’s also included in the Handbook of Green Chemicals…Take your time to look up any of the listed chemicals if you’re skeptic about this shampoo. (like I was)These chemical ingredients are classified safe and are much milder to the skin compared to most of the regular shampoos which strip all nutrition from our hair and follicles.After personally testing this shampoo, this is what I observed with my hair,1. Hair is really soft (I have rough and wavy hair)2. Dandruff (dry flakes) are reduced considerably and also the itchiness3. Slight shine to my hair (mild conditioners in the shampoo)4. 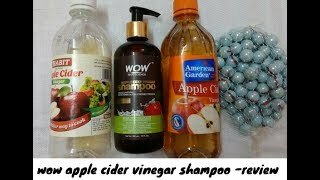 Hair feels much healthierBesides using this shampoo I would recommend drinking ample amount of water to keep your whole body hydrated and your scalp will show incredible results.This is how I made the decision to buy, and I’m satisfied. My friends are equally impressed as well,Hope this review was HELPFUL. Nice and genuine products. Totally outstanding. I am using since one month.. I have oily hair so fits better but if u neither oiled ure hair nor applied conditoner then leaves hair bit dry otherwise hair become soft,shiny n bouncy. Hair loss became less bt not significant much till now.. Waiting for more results in next few months.. The best paraben free shampoo that cleans your hair extensively well. When combined with the Wow conditioner the result leaves you with hair that is soft and moist for a long time without it ever drying out. Being free from animal derivatives is a boon for both the the user and the poor sentient being.